Can you say...killer tofu? No. Actually, you can’t. This is a Nintendo shooter, after all. 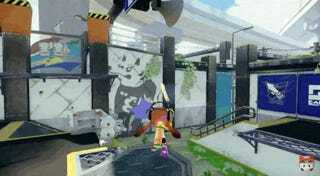 In a recent “Iwata Asks” conversation between president Saturo Iwata and key members of the Splatoon team, the developers revealed that before the game became a bright and colorful paint-chucking extravaganza, it starred innocuous blocks of tofu. Mmmmm, tofu. Nogami: Yes. (laughs) There was a white thing and a black thing shaped like blocks of tofu, and they were shooting ink and they had to steal each other’s turf. Iwata: But tofu is usually white. Sato: So the basis of Splatoon was a fight between a block of sesame tofu and a block of firm tofu. Iwata: How did the ink come out of the tofu? After the playable tofu prototype proved successful enough, they moved onto rabbits. Iwata: Now let’s move on to a totally different topic. To an outsider at last year’s E3, it seemed as though Splatoon was already complete. Iwata: It’s taken about ten months from then to get to where the game is now, but I think there were a lot of people who were dying to play the game after E3. What were you all doing for ten months? Sakaguchi: The game was only about 10% complete at E3. Amano: It was only 10% complete, or should we say, we still had about 90% left of the game to make. Iwata: You had your strong idea, you had the firm basis for the game, and you already had something that was actually fun to play. But you’re saying it was still only 10% complete. Sakaguchi: Right. At E3, we only had one weapon. We only had one stage, and only a mock-up of the sequence14. So when we returned from E3, our big issue was figuring out how to turn all that into a product.14. Sequence: The order of things. In this case, it refers to the order in which the game progresses. 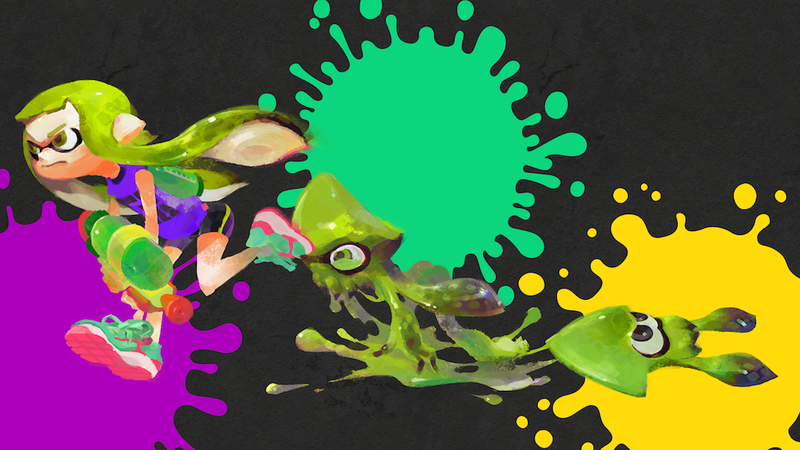 Nogami: At E3, we already had the heart of the game, which was “it’s fun to shoot ink”, and “it would be fun to turn that into a turf claiming game,” and we also had the play cycle of strategizing. But it wasn’t something that would keep people playing yet. We decided we needed to add another larger cycle to this, so we made all sorts of things. Damn. No wonder they were relying on cubes of tofu for so long! Tofu or no tofu, I’m really excited to play Tofu—er, I mean, Splatoon—when it finally comes out. Sorry, I just really love the word tofu. Read the full Iwata Asks conversation about Splatoon here.